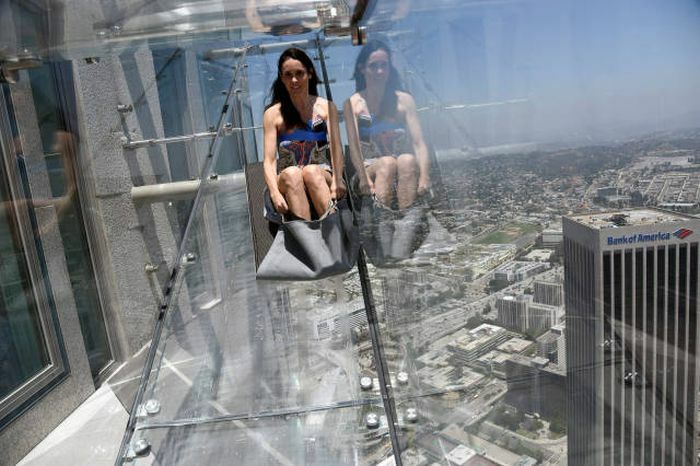 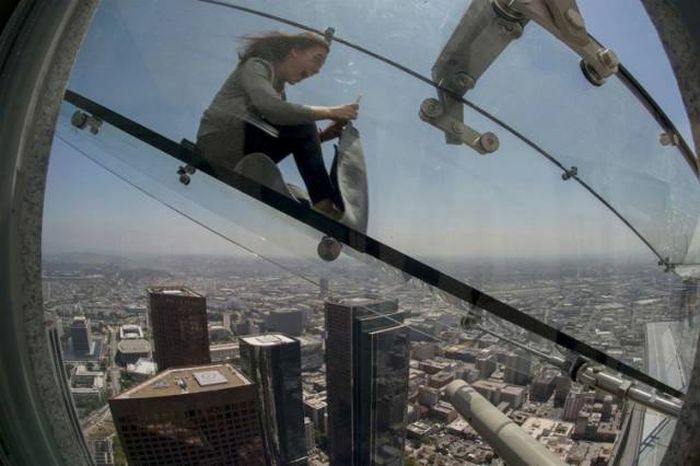 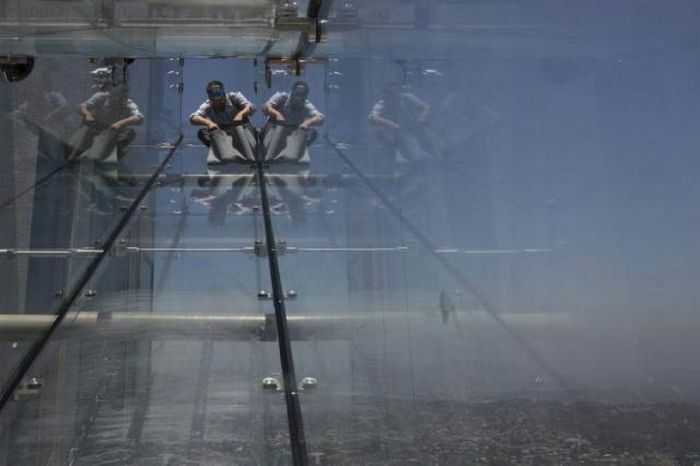 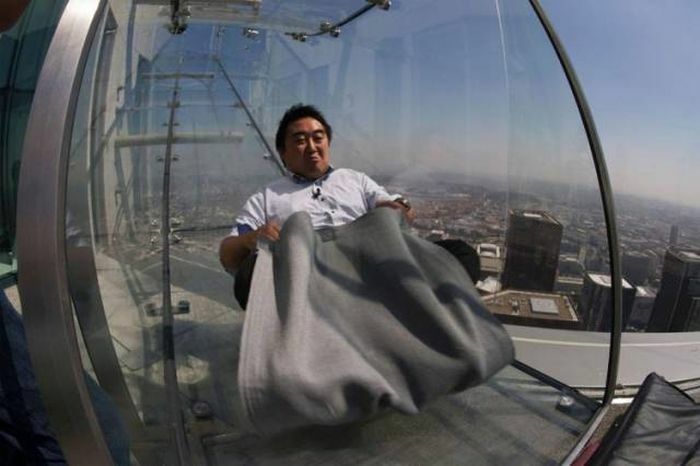 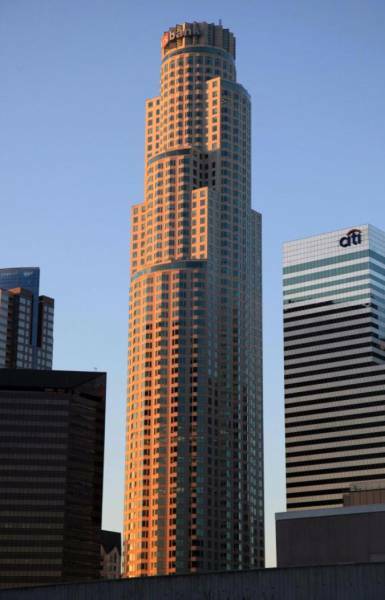 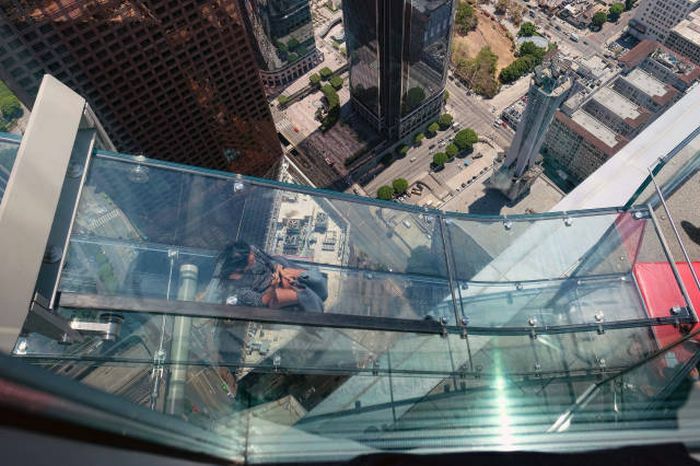 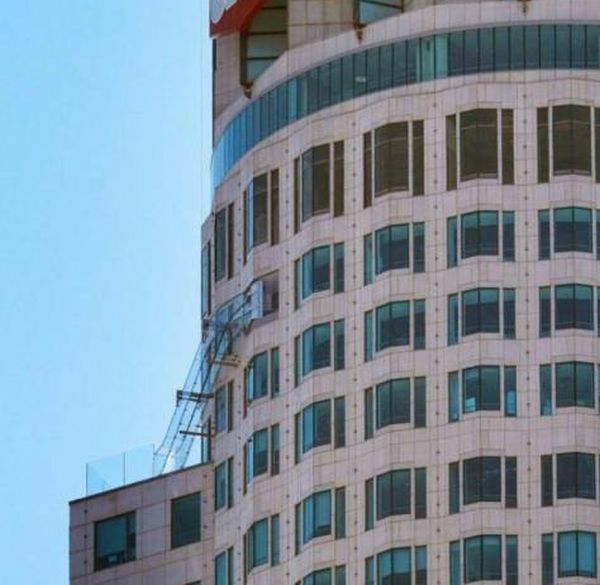 The SkySlide is now open at the U.S. Bank Tower in Los Angeles. 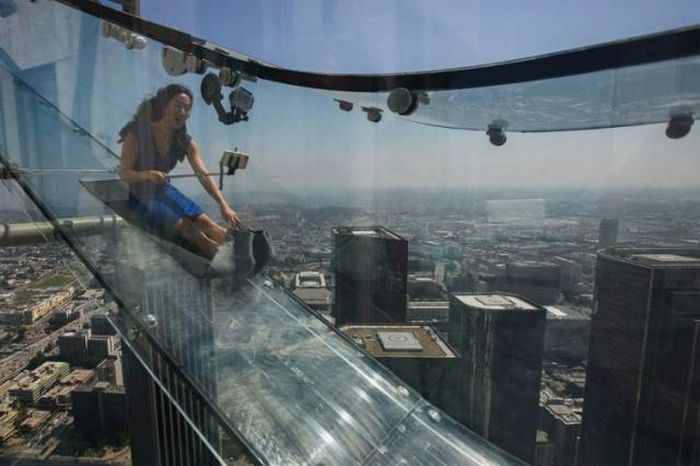 The slide is 45 feet long and it's made up of thick glass that can withstand hurricane winds. 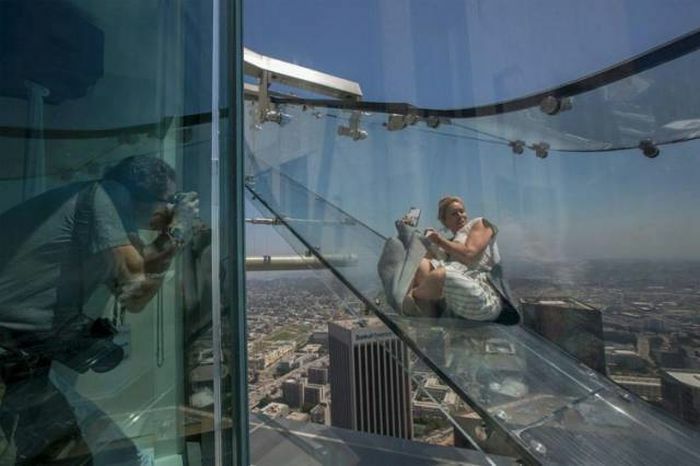 The slide takes people from the 70th floor of the building to the 69th floor and the slide sits 1,000 feet above Los Angeles. 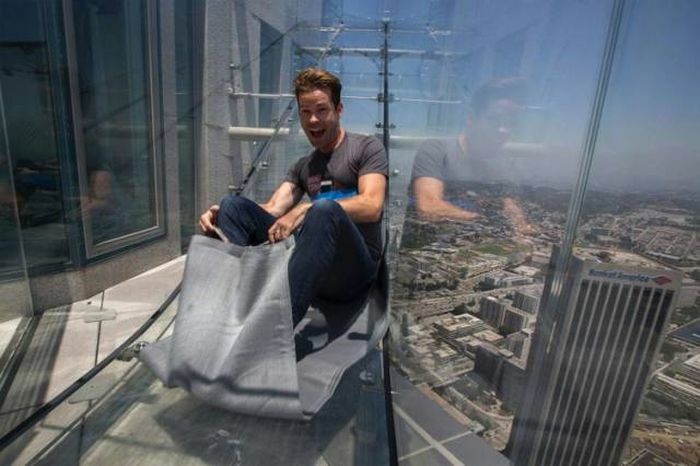 It's only 5 meters long.